"One of the premier vocalists in the entire country"
"Now this guy can really sing!" The band playing behind him? Awesome! They're the top players in the biz! or cigarette clenching, Dean Martin karaoke-copycat. pro singer that performs their songs in his own style. rather than imitate it, note-for-note. 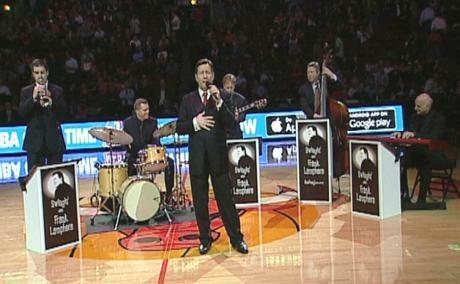 Frank Lamphere fits this musical genre like-a-glove. Frank Lamphere does just that. French and even some Spanish. with a live band of 3-18 musicians. No background tracks. No drum machines, ever. 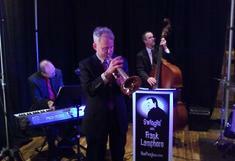 Band and singer - Crooner Frank Lamphere - The ultimate for private and corporate events! 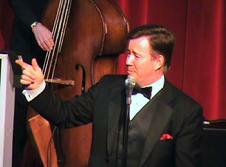 "Mr. Rat Pack" Frank Lamphere is available to perform anywhere in the U.S.
Rat Pack Enterprises specializes in providing musical entertainment for: Chicago Corporate Events, Las Vegas Corporate events, Wedding receptions, Trade shows and Conventions, Italian themed events, Fund-Raisers, House parties, Grand openings and Concerts. Also available to perform for parties and receptions in Milwaukee, St. Louis, Cleveland, Minneapolis, Kansas City, Las Vegas, New York, Cincinnati, Palm Beach or anywhere else in the U.S. and Western Europe.